The National Christian Elders Forum, led by a former Minister of Defence, Lt. Gen. Theophilus Danjuma (retd.) and Solomon Asemota (SAN), will meet on Monday (today) to take a position on whether or not it should endorse a presidential candidate among the ‘new entrants’ for the 2019 elections. The forum had earlier said that rather than propose “two evils” from which Nigerians should choose, righteousness should be the basis for a new President for the country in 2019. The Secretary of the NCEF, Pastor Bosun Emmanuel, told The Punch on Sunday that the meeting would review the demands by the 13 new presidential candidates to endorse one person among them for presidency. He said, “The candidates who attended the last meeting held on November 30 made the proposal. But the NCEF has to study, deliberate on it and decide whether to act on the proposal or not. Hey Buddy!, I found this information for you: "T.Y. 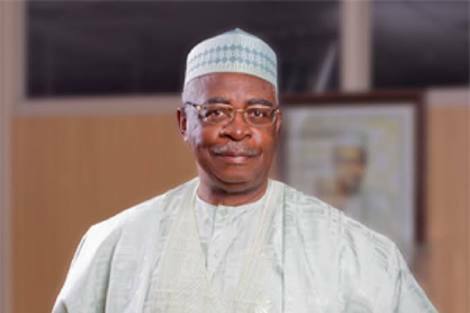 Danjuma’s Group Meets Today To Pick Consensus Presidential Candidate". Here is the website link: https://headlinenews365.com/t-y-danjumas-group-meets-today-to-pick-consensus-presidential-candidate/. Thank you.